St. Martin's Theatre is the home of Agatha Christi’s The Mousetrap- the longest running show in the West End. A West End staple for 65 years, The Mousetrap is the longest consistently running play in British theatre history. St. Martin’s Theatre can be accessed by several modes of public transit. The nearest tube station is Leicester Square Tube Station, which is 4 minutes’ walk from the theatre. Charing Cross Station is a 10 minute walk from the theatre and there are several bus stops on Charing Cross Street which are serviced by bus lines 14, 19, 22, 24, 29, 38, 40, and 176.If you are driving to St. Martin’s Theatre, limited metered parking is available and after 6:30 pm and on weekends parking may be available on Single Yellow lines. There are car parks at Cambridge Circus (MasterPark) and Upper St. Martin’s and Bedfordbury (NCP). B.A. (Bertie) Meyer, commissioned theatre architect W.G.R. Sprague to design the St Martin's. Originally intended to be one of a pair with the adjacent Ambassadors which opened in 1913, the St Martin's début was delayed by the outbreak of World War I: the first performance of Houpla took place on 23 November 1916. Many famous British actors have passed through St Martin's. In April 1923 Basil Rathbone played Harry Domain in R.U.R. and in June 1927 Henry Daniell appeared there as Gregory Brown in Meet the Wife. Bertie Meyer, who was closely involved in the St Martin's Theatre in the early days, and ran the theatre intermittently from 1916 to 1967, when his son R.A.(Ricky) took over. Ricky was the administrator for twenty years until his retirement in 1987; he remained as a consultant until his death in 1991. Agatha Christie's The Mousetrap transferred in March 1974 - it is still there, now holding a World Record. The theatre was Grade II listed by English Heritage in March 1973. Where is St Martins Theatre? 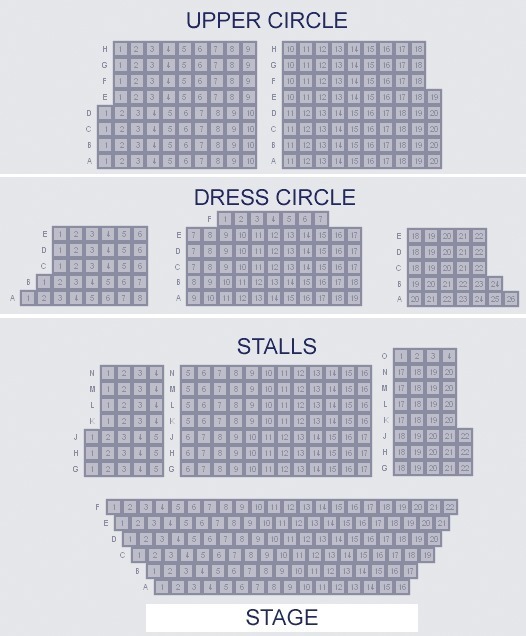 St. Martin’s Theatre has a capacity of 550 over 3 levels: Stalls, Dress Circle, and Upper Circle.